When you create a DLL, you also create a .lib file that contains this information. When you build an executable that calls the DLL, the linker uses the exported symbols in the .lib file to store this information for the loader. When the loader loads a DLL, the DLL is mapped into the memory space of your executable. 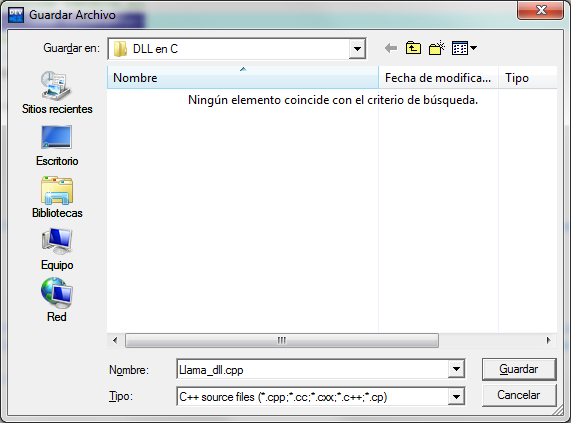 A special function in the DLL,... 21/08/2012 · Thank you, i have tried to generate to a DLL, but failed. Because I did not know how to work with C++, I only work with VB.NET. I want to generate the DLL with .NET Framework 4.0, then invoke this DLL from a VB.NET project. well i think there is something wrong with Dev-C++ when creating a DLL. but i have created a DLL project that should create a messagebox that says Hello. i load the library from another program....nothing. nothing at all. ??? You can try making an intermediate DLL in C++/CLI (select Visual C++ > CLR > Class Library in the New Project window). Reference the .NET DLL in that project, then create APIs in C++ to expose them for the consuming application.